The Dominion first appeared on 26 Sep 1907 and was so named as New Zealand gained dominion status on that day. Published in Wellington, The Dominion is distributed around the southern part of the North Island. Classifieds on the front page were replaced by the breaking news in 1964 when Rupert Murdoch took control of the paper. 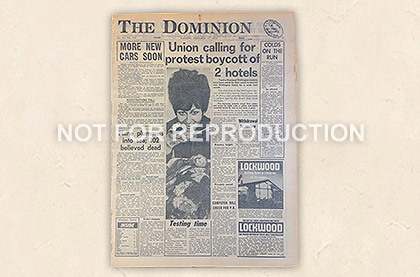 Apart from a brief change of newspaper format to tabloid from 1968 to 1972, The Dominion has been published as a broadsheet and throughout has been a conservative newspaper with excellent reporting of political and business news.